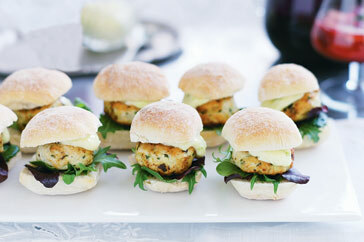 These gourmet little chicken burgers are a perfect light meal, snack or party food. Bake rolls following packet directions. Cool. Cut in half crossways. Meanwhile, process chicken, garlic, ginger, curry powder, onion and coriander until combined. Using 1 heaped tablespoon mixture at a time, form into 10 patties. Flatten slightly. Heat oil in a large frying pan over medium-high heat. Cook patties for 3 to 4 minutes each side or until browned and cooked through. Meanwhile, make Lime mayo Combine mayonnaise, lime rind and lime juice in a bowl. Spread roll bases with one-third of the lime mayo. Top with salad leaves and patties. Top with remaining mayo and roll tops. Serve. You could use mini bread rolls of your choice. Form patties into shapes to suit rolls. 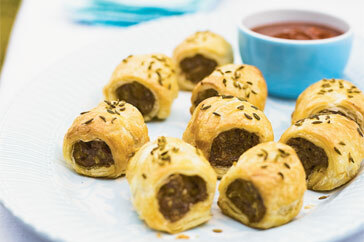 These tasty pork and fennel sausage rolls are the adult version of the party favourite. Preheat oven to 200°C. Line 2 baking trays with baking paper. Heat the oil in a frying pan over medium heat. 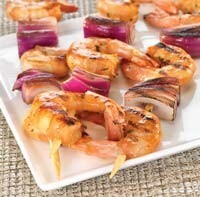 Add the fennel and garlic and cook, stirring, for 10 minutes or until fennel softens. Remove from heat and set aside to cool. Combine fennel mixture, sausage mince and breadcrumbs in a bowl. Season with pepper. Fit a large piping bag with a 2cm plain nozzle. Place the sausage mixture into the piping bag. Pipe the sausage mixture down the edge of a pastry sheet. Roll to enclose. Brush a little egg on the end to secure. Use a sharp knife to cut the roll into 4cm lengths. Place on the tray. Continue with remaining mince and pastry sheets. Brush with remaining egg and sprinkle with fennel seeds. 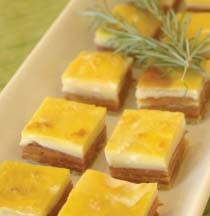 Place in the fridge for 30 minutes to rest. Bake for 15-20 minutes or until puffed and golden and cooked through. 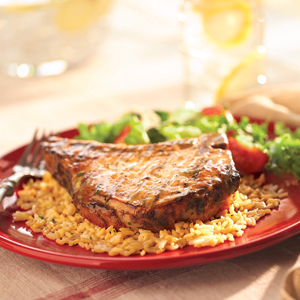 Serve warm or at room temperature on a serving platter. 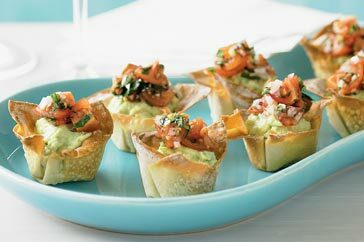 These avocado and cherry tomato bites are sophisticated cockail party food fare. Preheat oven to 190°C. Spray thirty-six 30ml (1 1/2-tbs) capacity mini muffin pans with oil to lightly grease. Place a wonton wrapper in each pan and press to line base and side. Bake for 8 minutes or until golden brown and crisp. Set aside in the pans to cool completely. Meanwhile, place the avocado in a bowl. Add the yoghurt and stir to combine. Add the Tabasco sauce to taste. 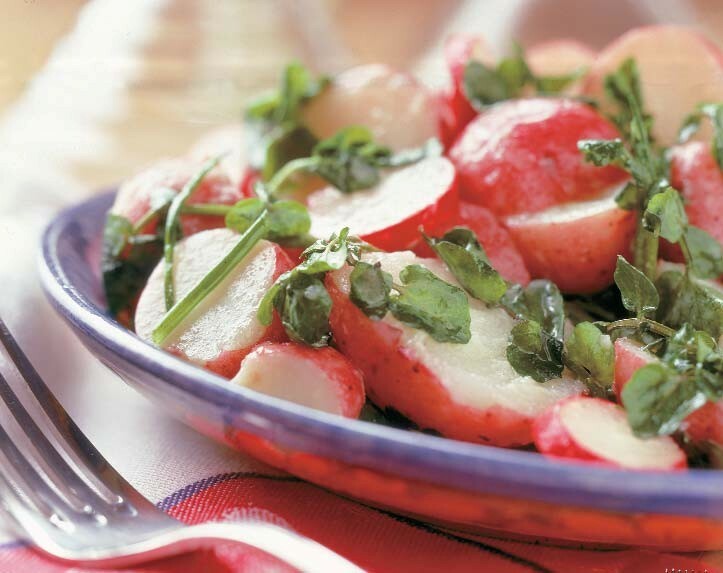 Combine the tomato, onion, coriander and lemon juice in a bowl. Season with salt and pepper. Spoon the avocado mixture evenly among the wonton cups. Arrange on a serving platter. Top with the tomato mixture and serve immediately. Make it ahead: Prepare to the end of step 1 up to 2 days ahead. Store in an airtight container. Continue to the end of step 2 up to four hours ahead. Store the avocado mixture in an airtight container in fridge. Cover surface of avocado mixture with plastic wrap to prevent browning.